The HCCI findings are "pretty compelling," said Paul Ginsburg, a professor at the University of Southern California. "Higher prices from providers is the most important element in rising premiums in the past few years." 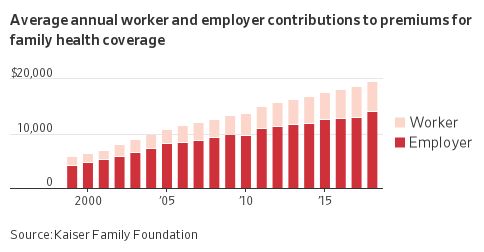 The average cost of health coverage offered by employers rose to nearly $20,000 for a family plan this year, capping years of increases that experts said are tied to rising prices for care.